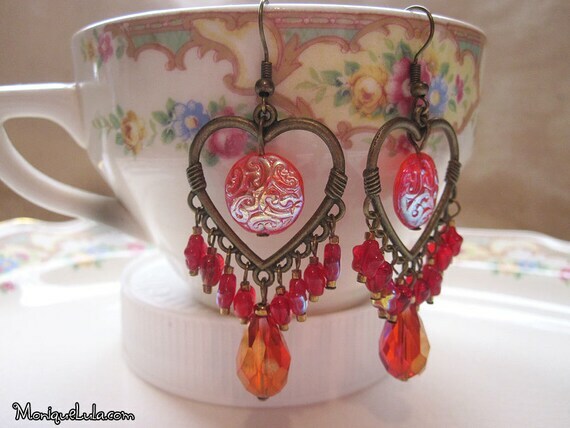 Antiqued brass heart chandelier earrings dripping with ruby heart and star beads, with a large teardrop and rainbow coin beads. Gorgeous large chandelier earrings like these would look beautiful at Christmas time, Valentine’s Day and all year long. This entry was posted in beads, crystal, earrings, fashion, glass, hearts, jewelry, ruby and tagged chandelier earrings, earrings, ruby. Bookmark the permalink.